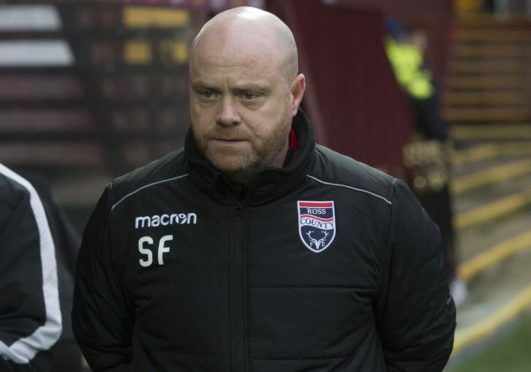 Ross County co-manager Steven Ferguson insists the Staggies are still looking to strengthen their squad before Thursday’s transfer deadline. County have added four new faces during the January transfer window so far, with Kenny van der Weg, Lewis Spence, Daniel Armstrong and Callum Semple arriving at Victoria Park. Although County have welcomed the likes of Sean Kelly and Don Cowie back from injury in recent weeks, the return date of Callum Morris from a hamstring tendon injury remains uncertain, while Liam Fontaine, Iain Vigurs and Stelios Demetriou remain sidelined. Ferguson hinted there could be room for one more addition this month, and he said: “We are looking potentially at maybe another one. “It’s still unclear about Callum Morris’ injury. We had good news earlier in the week, thinking we would get him back quicker, but we are unsure if that will happen now. “There might be one more, but as it stands there will be nothing more this week.